Can You Really Believe These 7 Products Made It To Our Shelves? Home Shopping Can You Really Believe These 7 Products Made It To Our Shelves? We walk into a shop and some products we don’t even realise are there. We either don’t see them because they’re of no use to us, we pick them up without thinking about it because we use them so regularly or we just walk straight past them as we’ve never heard of them or their advertising is so poor they do nothing to catch our eyes. Other times, we walk into a shop and products seem to jump right off the shelves at us. They are so well designed, packaged and marketed that we’re drawn to them and find it almost impossible to walk past without, at the very least, taking a further look. And then there are those products that are awful. Products that not only disinterest us, but make us angry. We question why they were even created and after what is sometimes only a few weeks on the shelves, the same questions start to be asked by the manufacturers, too – and these seven products are great examples of those that shouldn’t have become a reality. Brands extend their product ranges. They diversify a little and try to reach new audiences. Every time this happens successfully, however, the brand always sticks to what it knows best – and Colgate’s Kitchen Entrees are a prime example of what happens when you try to take a step away from your area of knowledge and expertise. Back in the early 1980s, Colgate decided to look at how they could capitalise on the fact their brand was one of the biggest in the world. Somewhat startlingly, they decided to opt for food products (many believe the idea was people would first eat Colgate food and then go and brush their teeth with Colgate toothpaste). 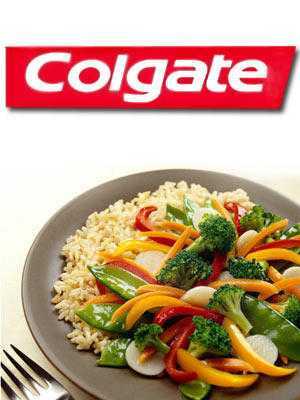 Proof that our minds become accustomed to associating a brand with a certain product, image or style, Colgate Kitchen Entrees failed miserably and never made it out of the US. One of the US’s most popular food brands, Jell-O has seen some huge success since its launch in 1845. 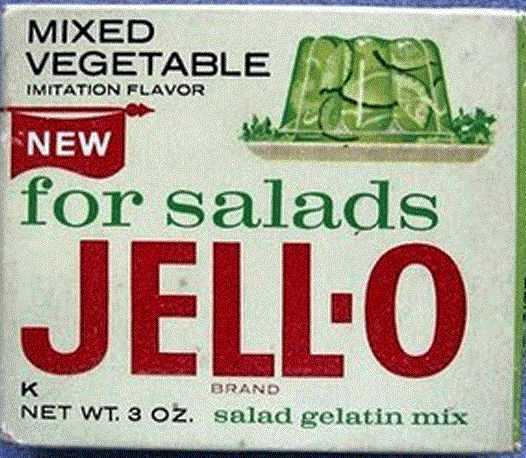 Unfortunately, the company didn’t get it right during the 1960s when they tried to introduce some new flavours. 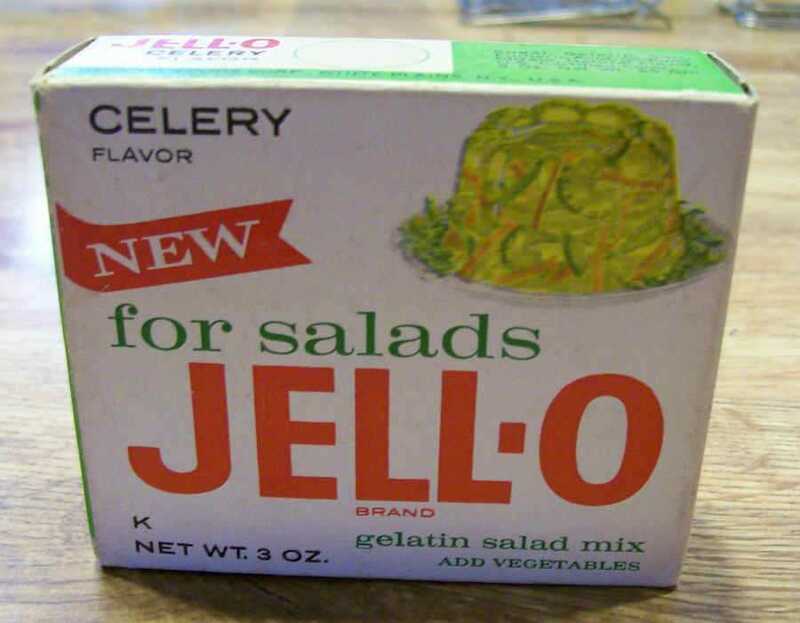 Not the flavours you’d expect from Jell-O, they ran with everything from celery through to Italian salad. Sounding a little strange now, to be fair to Jell-O, at the time aspics (basically an item of food that’s created by surrounding other items in gelatin) were particularly popular and they thought they could capitalise on this – but not only did the popularity of aspics prove to be somewhat of a passing phase, people simply didn’t want the savoury flavours. 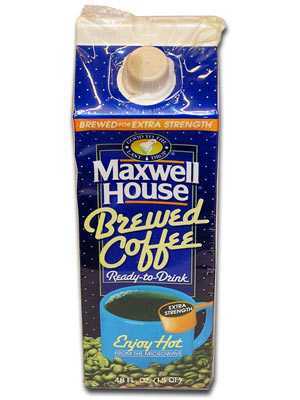 If it was designed properly, Maxwell House’s ‘Ready to Drink’ coffee could have been a successful addition to their brand. In theory, it was a great idea, as it was supposed to allow people to enjoy coffee easier and quicker than before – they simply poured out a cup of the coffee and microwaved it. A few seconds later they had a ready to drink cup of coffee without any of the ‘hassle’ of spooning out coffee granules, adding milk and then boiling hot water. When the product launched in 1990, the main issue was people were expecting the carton the coffee came in to be microwavable – but it wasn’t and because of this, Maxwell House soon discovered that people weren’t that bothered about saving what was a few seconds difference when making their coffee. 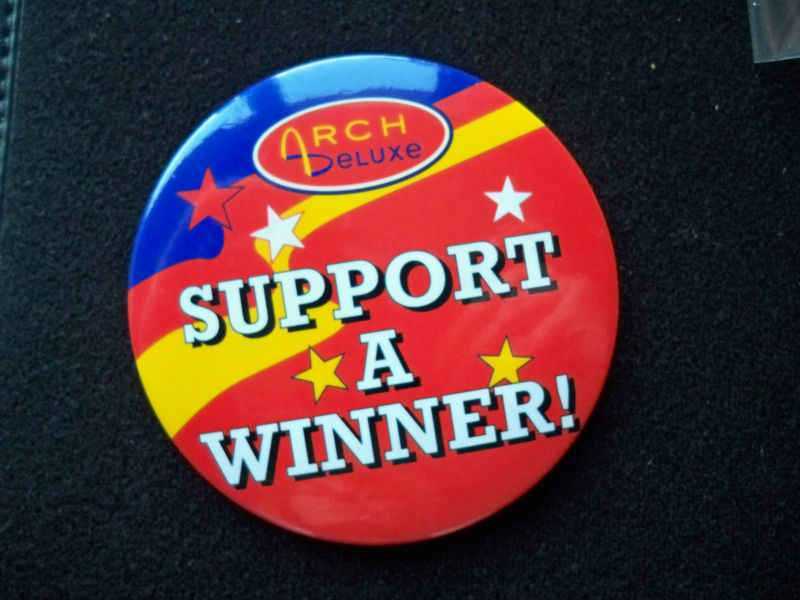 A company that is continually adding to its product range (to the extent that most don’t even realise, as a lot of the products are geographically specific), McDonald’s launched the Arch Deluxe in 1996 and although it could have been a success, the way it was promoted made it an almost instant failure. Supposedly a burger for adults with a more sophisticated palate (it was marketed as ‘the burger with the grown-up taste’), the Arch Deluxe featured crisp iceberg lettuce, sweet Spanish onions, a deliciously-ripe tomato, hickory-smoked bacon, a quarter-pounder patty, American cheese, ketchup, a new ‘secret sauce’ and a soft bakery-style bun. 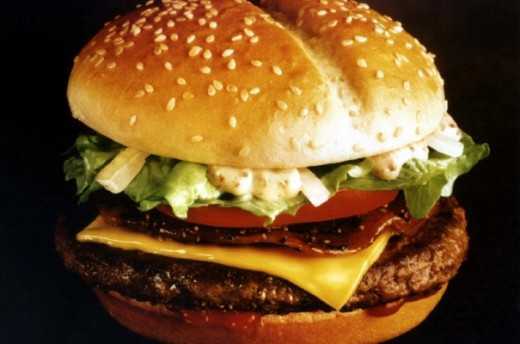 It sounds great, but McDonald’s failed to realise that people eat their products out of convenience more than anything else and a sophisticated burger simply wasn’t what the audience wanted. Thirsty Dog! 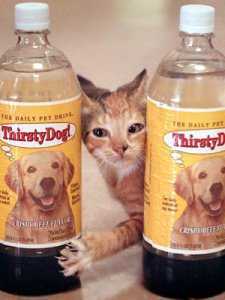 / Thirsty Cat! In some parts of the world, dogs eat whatever they’re given and cats whatever they can catch. Pet food is available, but dog and cat owners don’t consider it a necessity (or in some instances, too expensive). Most owners have got used to the fact that they need to be buying their dog or cat pet food, but they just couldn’t bring themselves to purchase flavoured water for their animal companions. Produced by the Original Pet Drink Company and available in two flavours (‘Crispy Beef’ and ‘Tangy Fish’) in 1994, the product flopped massively. Cats and dogs weren’t bothered by it and neither were their owners. A simple example of when extensive consumer surveys needs to be carried out beforehand. 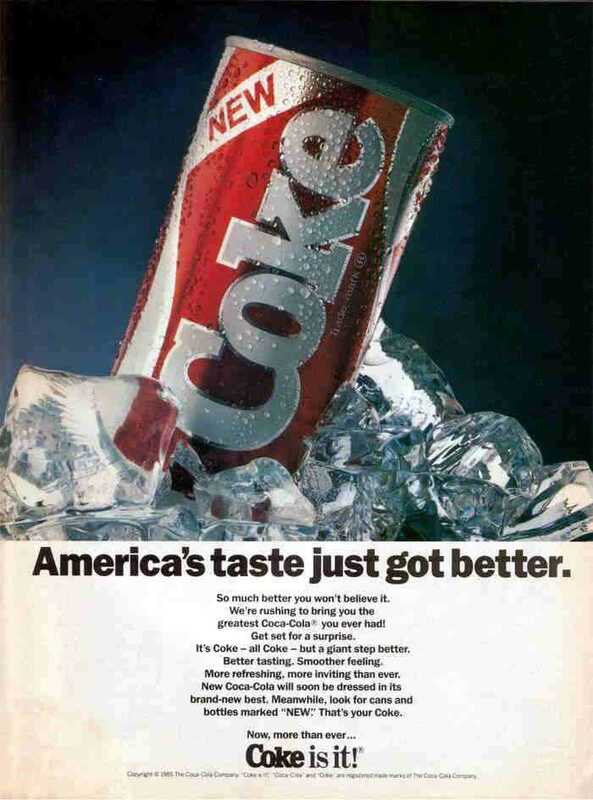 Back in 1985, after almost a century producing soda to the same recipe, Coca Cola decided to change the taste of their flagship drink. 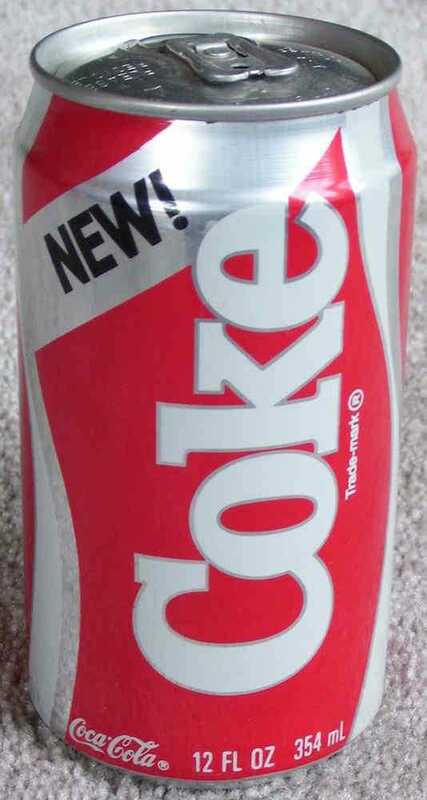 Before its launch, market research supposedly suggested that people not only preferred the new taste over the old one, but that they preferred it to the brand’s main competitors at the time, too. Therefore, it made sense to change. What Coca Cola didn’t count on was the sheer amount of love for the old taste and although ‘New Coke’ remained in production (until 2002 under the name ‘Coke II’), the old Coke was soon back on our shelves with the name ‘Coca Cola Classic’, a name it retained until 2011 (although it started to be taken off various products from 2007). Considering Sony get it right so often, they also get it wrong so often. Betamax or MiniDisc, anyone? Of all of Sony’s failed products, however, the eVilla has to be the worst and just like Betamax and MiniDisc, its failure is to do largely with extremely poor timing. 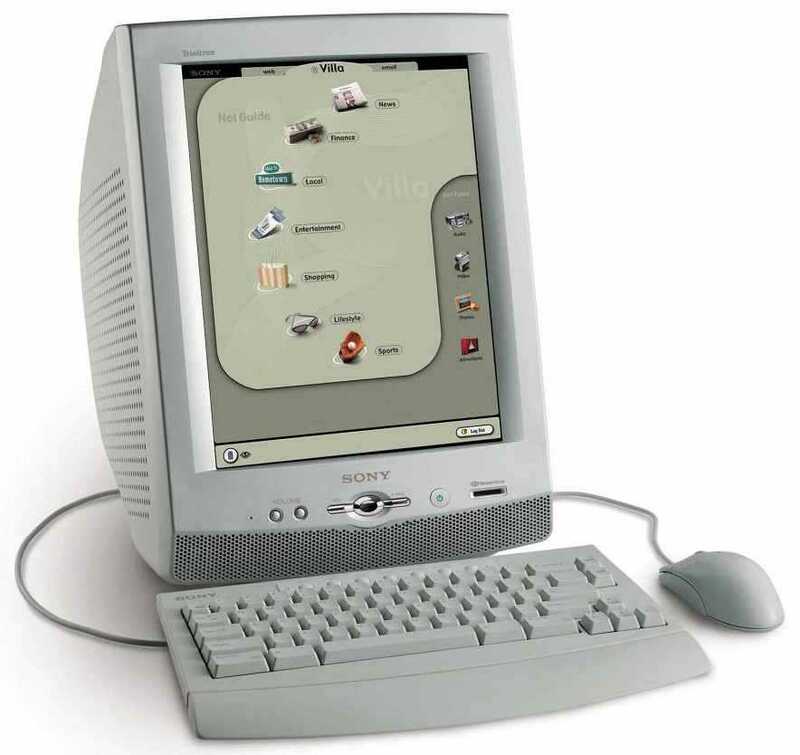 In the 1990s, internet appliances were extremely popular. 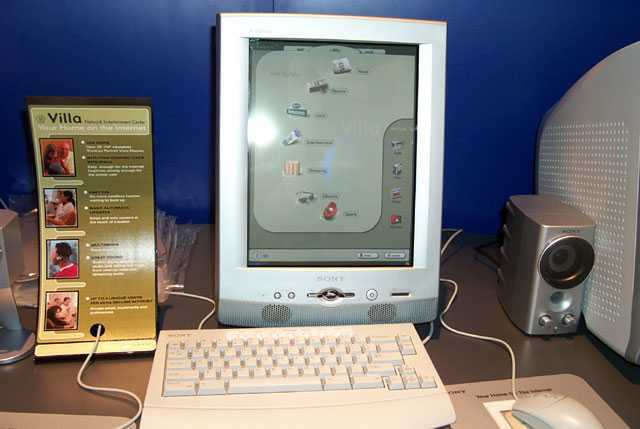 Giving people a way to access the internet without having to pay out for an expensive PC, they were the perfect solution to people who simply wanted to do some basic internet activities, such as checking e-mails. The problem for Sony was that by the time they launched the eVilla in 2001, the price of PCs was coming down drastically and it made little sense to buy a $499 eVilla when you could get a PC for near enough the same price. You have to give Sony their due though – they realised their mistake and when the product was pulled two months after its launch, they offered a full refund to everyone (which included the $21.99 monthly fee for internet access). Arch Deluxecoca-colaCokeColgateColgate Kitchen Entreesinternet appliancesJell-OMaxwell HouseMaxwell House Ready To Drink CoffeeMcDonald'sMcDonald's Arch DeluxeNew CokeOriginal Pet Drink CompanyReady To Drink CoffeeSonySony eVillaThirsty Cat!Thirsty Dog!